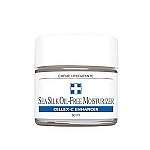 A super rich, non-irritating moisturizing cream specifically formulated for the delicate eye area. This anti-crepe eye cream plumps eye tissue for all day moisture and hydration. Leaves skin feeling velvety smooth and moist. 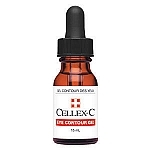 A perfect eye treatment to wear over Cellex-C Eye Contour Gel during the day. For dry skin. Apply a thin layer of G.L.A. 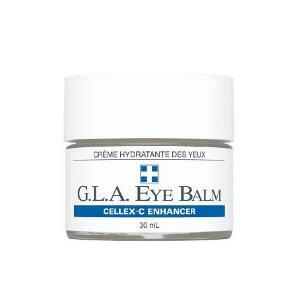 Eye Balm to outer eye area, the eyebrow bone and the socket under the eyes. 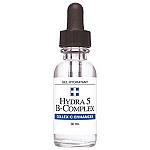 Avoid eyelids and the inner and outer corners of the eyes. Never apply skin care products around the eyes at night as they can contribute to fluid retention and puffy eyelids. Use only as part of the morning regime. 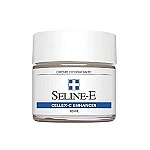 Caprylic/capric triglyceride, lecithin, bioflavonoids, tocopheryl acetate, evening primrose (oenothera biennis) oil, aloe barbadensis gel, chamomile (anthemis nobilis) extract, ladys thistle (silybum marianum) extract, dimethicone, allantoin.